Bentley Systems’ 2018 Year in Infrastructure conference in London this October was a hive of activity, with major product announcements, developments within the digital engineering sector and awards shaping the event. Roads & Infrastructure Magazine reports. 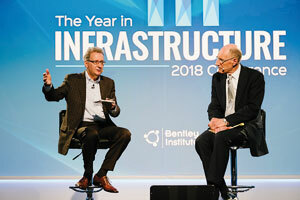 Bentley Systems’ Year in Infrastructure – an annual event that brings together leaders, innovators and trendsetters in the world of digital engineering and celebrates those utilising the software provider’s digital products in the best possible way. 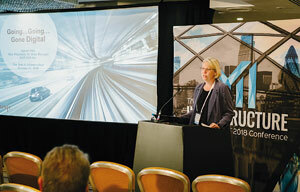 Held in London this October, the conference covered a range of topics under the digital engineering banner, such as developments within digital workflows, building information modelling (BIM), connected data environments, – everything important about advancing the design, construction and operation of infrastructure. Over the four days, Bentley Systems announced key news, product releases and insights – exciting developments from the global provider of software solutions that may change how infrastructure is delivered today. Attendees were given the opportunity to hear from a wide range of speakers, panels and sessions looking at different applications of Bentley Systems software and where it has helped businesses improve their digital workflows. This culminated in the organisation’s annual Year in Infrastructure Awards, which recognised the best of the best in the field. Bentley Systems’ key leaders and executives, including CEO Greg Bentley, CTO and EVP Keith Bentley and Chief Product Officer Bhupinder Singh, and other technology partners led the keynote discussions of the conference, revealing the latest updates from the business. Sir John Armitt, Chair of the United Kingdom’s National Infrastructure Commission, presented as guest keynote, joining other industry partners, such as Topcon. 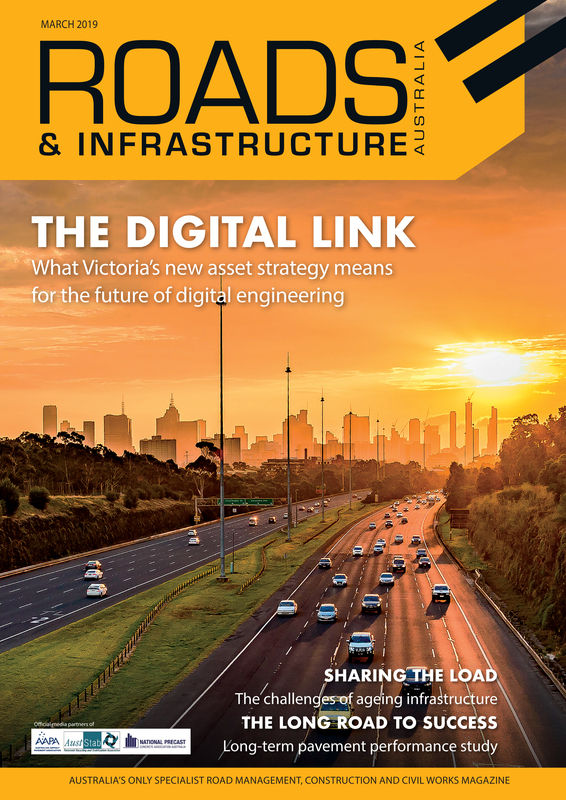 A core focus this year was on digital twins within infrastructure – a concept referring to the digital replica of a physical asset, its process and systems – and how it can be used for various purposes. This includes giving asset owners and their teams the potential to use a digital representation of an asset to apply analytics, machine learning and even artificial intelligence in simulations to inform decision making through the lifecycle of its design, construction and operation. Bentley Systems headlined the conference with its latest product release relating to digital twins: iTwin Services – digital twin cloud services for infrastructure projects and assets. The business also announced the initial release of its iModel.js library – an open-source initiative to improve the accessibility, for both visualisation and analytical visibility, of infrastructure digital twins. The software provider complemented this product launch with the announcement of its acquisition of Swedish firm Agency9 – a company that has already provided nearly half of Sweden’s larger municipalities with city-scale digital twin cloud services for city planning and related web-based 3D visualisations. Likewise, the business announced a strategic partnership with global business Atos to create digital twins for owner-operators of industrial and infrastructure assets. “I believe that our collaboration with Atos can help owner-operators to really jump-start their ‘going digital’ ambitions, enabling and taking advantage of both immersive visualisation and analytical visibility,” Greg Bentley said. Aside from the major focus on digital twins, Bentley Systems also launched a new suite of engineering and analysis applications, including OpenSite Designer – an application for the design and construction of civil project sites. OpenSite Designer aims to provide rapid site modelling and analysis, earthwork optimisation and quantification, drainage and underground utilities and automated project deliverables. Using the recently acquired geotechnical engineering software PLAXIS, Bentley Systems also plans to enhance the program with information about the properties of soil, such as its bearing capacity, stresses and displacement. In addition to OpenSite, the company also announced the launch of its OpenBuildings application along with OpenBuildings Station Designer, OpenBridge Designer and OpenFlows FLOOD. OpenBuildings Station Designer is an application to help design rail and metro stations, OpenBridge Designer combines Bentley Systems’ bridge modelling, analysis and design capabilities, and OpenFlows FLOOD is a flood analysis and early warning system. Bentley Systems has rebranded several of its MicroStation technologies under its Open portfolio to create these new applications. The company’s Chief Product Officer, Bhupinder Singh, said ‘open’ has three meanings. “First, it signifies open to multiple disciplines. Second, it means open to analysis and simulation,” he said. “Using different applications, two different disciplines, for example, a geotechnical engineer and a structure engineer can iterate on the same dataset in our comprehensive modelling environment, providing a ‘digital feedback loop’ and enhancing their collaboration across building information modelling workflows. Complementing these product announcements, particularly OpenBuildings Station Designer, was the news of Bentley’s acquisition of London-based pedestrian simulation software provider LEGION. The acquisition augments Bentley Systems’ modelling environment with digital workflows to explore different pedestrian traffic scenarios within public spaces, such as train stations. LEGION’s software already supports more than half of the world’s 40 largest transit agencies and offers modelling for scenarios such as interaction of pedestrians with each other and with physical obstacles, circulation and evacuations within public spaces like railway stations, airports, sports arenas, and tall buildings, and pedestrian and vehicle interactions. It was even used by the Sydney Organising Committee for the 2000 Sydney Olympic games to assess how rail services would work with the influx of visitors to the city. LEGION founder Douglas Connor said pedestrian flows should be considered fundamental design criteria for infrastructure assets like train stations or airports. “We’re excited to join with Bentley to provide designers, engineers and owners with pedestrian simulation applications that are integrated with market leading design modelling offerings,” he said. The exciting new products, news and announcements kicked off the event and set the tone for the remainder of the conference, which comprised a plethora of keynotes, seminars, presentations and panel sessions on what’s involved in ‘advancing infrastructure’ today. For the transport and civil infrastructure sector, the event provided key insights into where the digital world is taking project design, construction and delivery, and where the opportunities and challenges lay. Agnes Otto, Vice President, Senior Area Manager at WSP USA, presented on this idea of going digital and what it means in the context of project delivery and particularly what’s driving change and having impacts here. “We’ve improved our computing power, we’ve got better bandwidth, IoT (Internet of Things), blockchain – we’ve got all of these fabulous inventions that just seem to keep flying at us. We’ve got access to data like we’ve never had before and the kinds of people we’re hiring is really changing,” Ms. Otto said. She asserted there is a need to develop a data-centric element in all decision making processes. “There’s so much data – we need to be using it to validate what we’re doing and quickly. While new digital processes and digital workflows are what have changed, she says what is driving that change is stemming from entrepreneurialism and innovation, but also more limited budgets. Ms. Otto touched on the human element of going digital and the need to build on lessons learned and previous experiences and ensure that knowledge is retained within a business or project. While various facets of digital workflows and advancing infrastructure were the broad themes of the conference, many sessions got down into the nitty gritty of the topic, such as automation, constructioneering and digital twins, and what they mean for various sides of the wider design, construction and asset management sector. An engaging session on the state of play and future of construction automation through the design to operational stages provided a number of insights from the perspectives of a panel of experts. The panel included: Mike Woof, Editor at World Highways, Ulrich Hermanski, Vice President, Construction Business, EMEA at Topcon Positioning Group, and Matt Simon, Vice President at HNTB. Mr. Woof explained to the audience how construction automation, specifically machine control, is making a huge difference in the industry, especially in efficiency and getting the job right first time. The panel then talked about the changes happening within the industry and whether the automation through digital workflows or machine automation was having a positive effect. Mr. Hermanski touched on aspects of the new developments of machine control and talked about the new developments that could be on the horizon within the construction sector, such as a move towards including more automation into smaller and utility machines as well as the challenges for the developing sector. However, he said the next step will be for more automation onsite, exemplifying certain steps in further automatic functions for machinery, such as excavators. The panel also discussed the major blockers for automation in general within construction, namely around legislation and how to address the challenge around that.